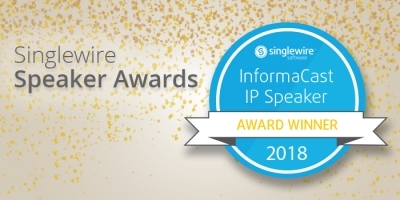 InformaCast compliant IP speakers, using Singlewire's patented IP speaker protocol, provide unmatched scalability and functionality. 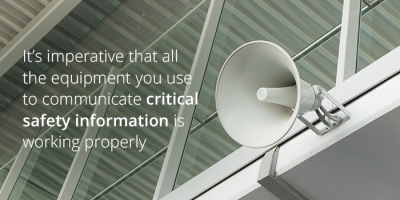 InformaCast compliant IP speakers, using Singlewire's patented IP speaker protocol, provide unmatched scalability and functionality. There are many options to choose from, including LED displays with network time synchronization, weatherproof horns, weatherproof, large format for long distance viewing, etc. 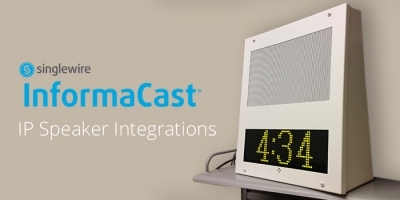 Download our InformaCast IP Speaker Guide for specific recommendations. Access each vendors product and support page in the Singlewire Support Community.